Located just over a hundred miles off the North African coast, the island of Gran Canaria has been a sought-after spot for holidaymakers for decades. And the island is a real marvel, too – once you’ve left the golden beaches, charming coves and buzzing resorts you can travel inland to see the dizzying, volcanic mountains and lush, green valleys, and discover exotic things to do. But before you go packing your sun cream and flip-flops, you might be wondering just where you should you stay in Gran Canaria. We looked through the island’s accommodations and found the very best. Take a look below at these great hotels and nab yourself a slice of paradise. This sprawling hotel is well located for hiking, mountain biking, diving and other water sports. It’s located on the north-west coast of the island, and is a very short walk from the beach. There’s a pool, plus a spa with mud and water therapy, biothermal showers and a Turkish bath. There’s also a gym if you fancy a workout – but hey, no pressure. You’re on holiday, after all! This hotel is located in Arucas, in the north of the island. 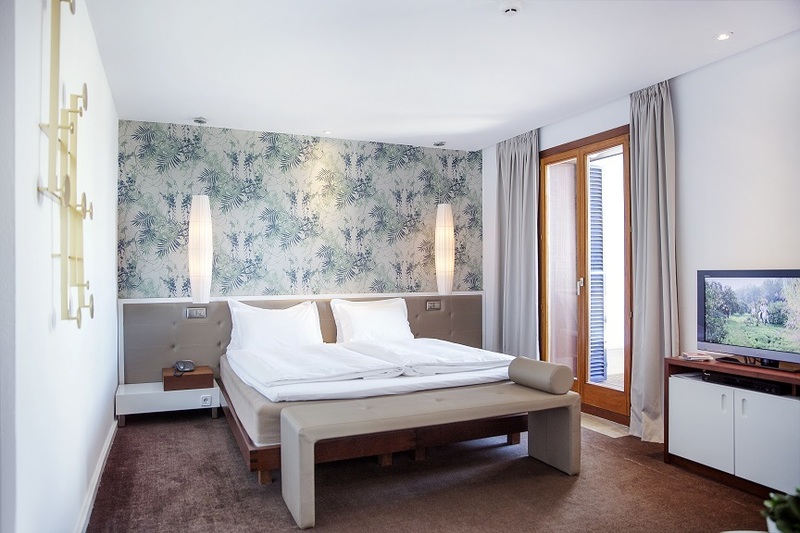 Each room is air-conditioned, has free WiFi, as well as a desk, should you need to do a little work while you’re away. The view from the terrace may not overlook the ocean, but the church of San Juan Bautista makes for a pretty spectacular sight. Plus, if the blazing sunshine isn’t enough, there’s also an onsite solarium. Now here’s a place with an interesting location – it’s on the edge of the Bandama volcanic crater, whose peak rises over 500 metres above sea level (and is, luckily, long dormant). All this can be comfortably enjoyed from the hotel’s terrace, which is beside a solar-heated pool that features a waterfall and hydromassage jets. You’re also not far from a couple of equestrian centres, should you want to try out a bit of horse-riding. 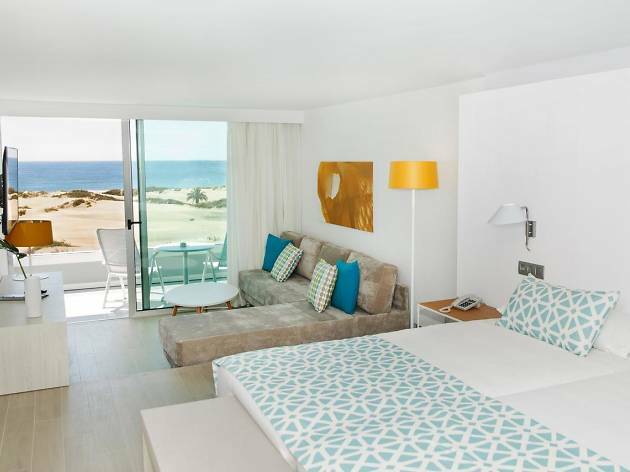 This complex of suites is to be found in the resort of Playa del Inglés at the southernmost tip of Gran Canaria. But there’s also two outdoor pools should you want to keep the sand out of your shoes, as well as a Finnish sauna and spa centre. You’ve got the best of both worlds here: you’re just a three-minute trot from the beach, but also have all the town’s restaurants, bars and shops on your doorstep. A hotel that’s all but on Meloneras beach on south coast of the island. This is a distinctly upmarket establishment, lavishly decorated in a style inspired by Antoni Gaudí, along with a restaurant named after the Catalan architect that does à la carte dining. Each room here has a balcony and a satellite TV, and there’s also a tennis court and a kids' club for little holidaymakers. Playa del Inglés is a ten-minute drive away. 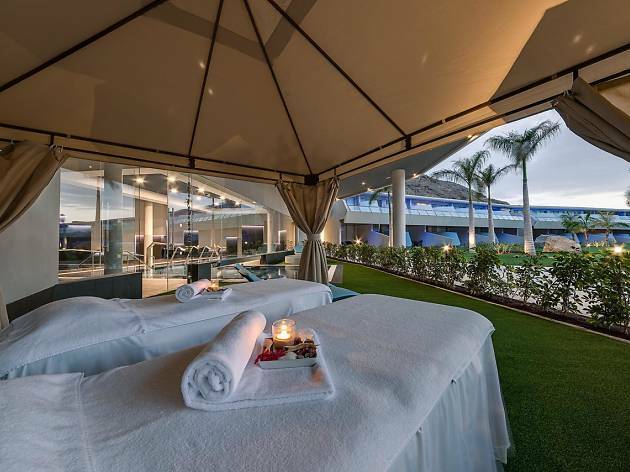 The Gran Canaria outpost of the Radisson empire boasts a wide array of amenities – you’ll find two pools, a spa with hot tub, sauna and Turkish bath, a gym, tennis courts, a rooftop restaurant and poolside bar. Truth be told, you’ll be tempted not to set foot outside the place. 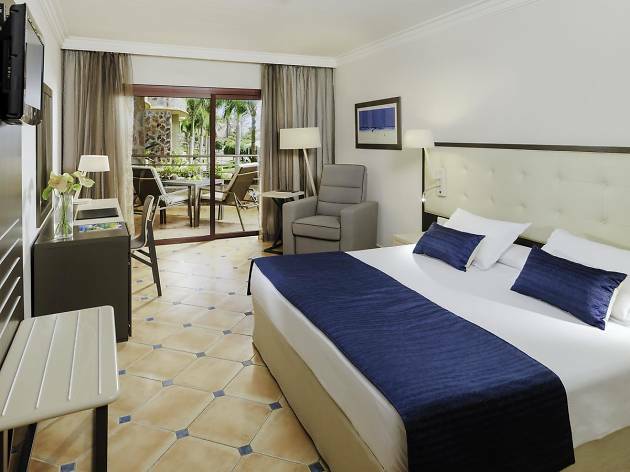 Rooms are all spacious and air-conditioned; the La Canaria restaurant serves buffet meals four times a week and a set menu three times a week. 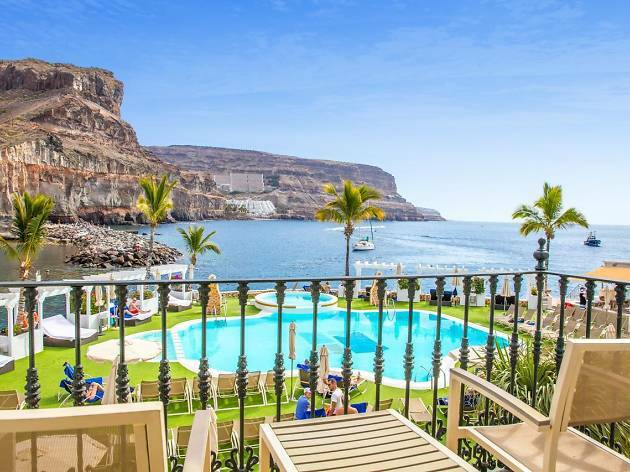 This hotel is located in a blissful little harbour on the south-eastern corner of Gran Canaria – guests here can enjoy views of bobbing yachts and quayside shops and restaurants. 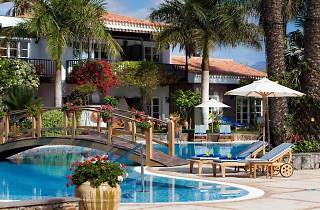 Not only does the Puerto de Mogán have a spa and pool, but it also has direct access to the sea. 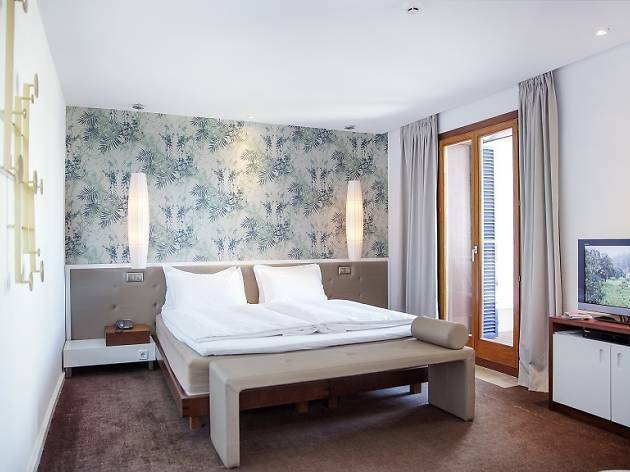 All rooms are air-conditioned, with a minibar and satellite television; the onsite restaurant serves international dishes. 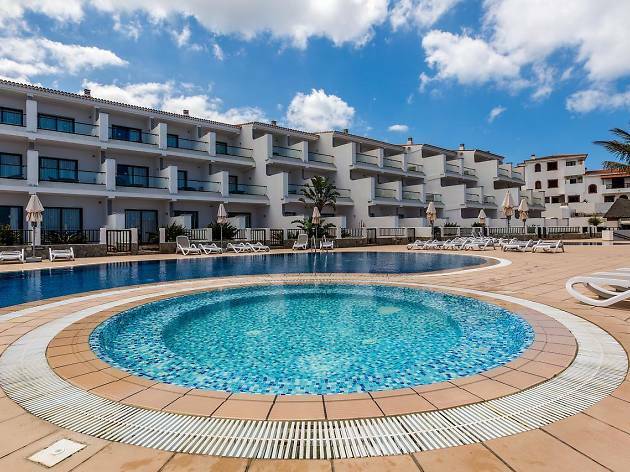 No hate to kids, but the adults-only Bandama is perfect for those who want to escape screaming, wailing and getting splashed as they sunbathe by the pool. 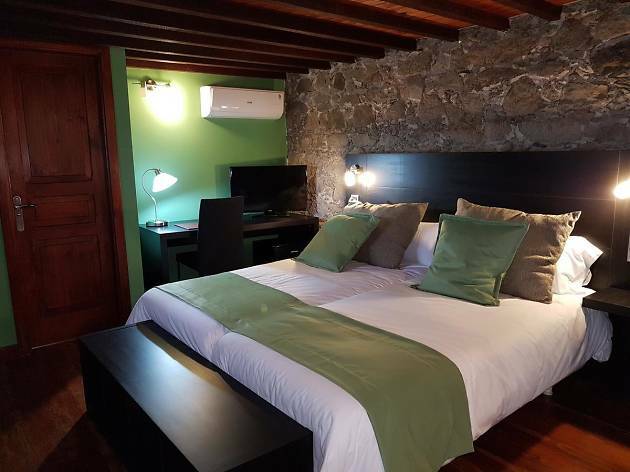 It’s located in Santa Brígida, which is inland, and the views from outside this hotel are truly magnificent: sweeping vistas of Gran Canaria’s lush, hilly terrain. Amenities are fairly restrained: there’s an onsite bar, plus tennis courts and the option of car and bicyle hire. 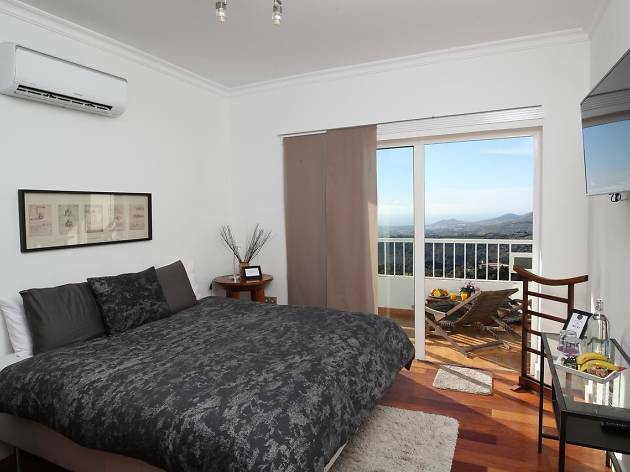 A luxury complex of aparment suites set amongst well-tended greenery right on the bottom-most tip of Gran Canaria. 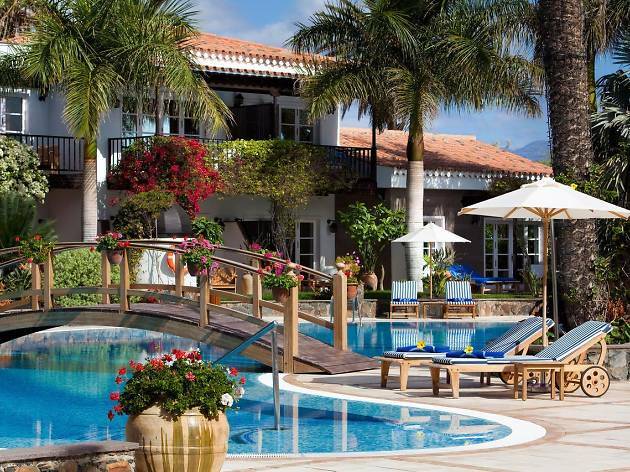 The properties here are elegant villas with private terraces and balconies. There’s a large outdoor heated pool, a spa centre, a poolside bar (piña coladas, anyone?) and a snack bar. Plus, you get free access to various facilities including a tennis court at the Hotel Seaside Palm Beach complex. Not bad, eh? 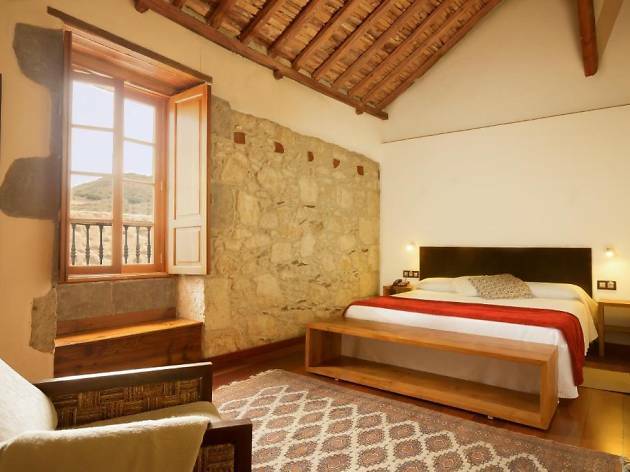 Another hotel to be found inland, this gorgeous 19-century building is nestled among the rolling countryside surrounding Tejeda. 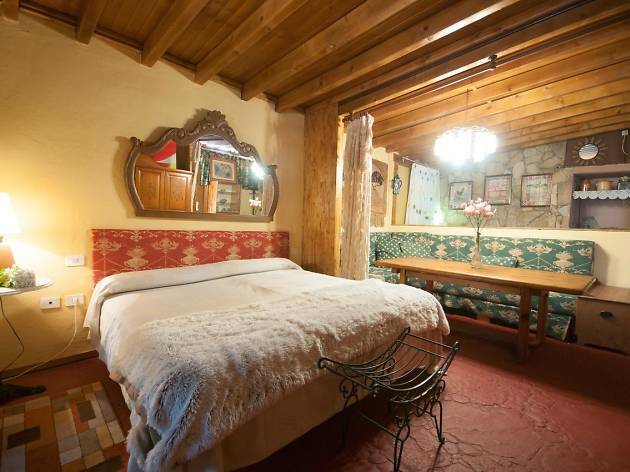 The place has a rustic, rough-spun feel – you’ll definitely enjoy some peace and quiet here. Rooms are air-conditioned and have cable TV and a private bathroom. There’s also a games room, and lots of opportunites for hiking and horse-riding in the local area.